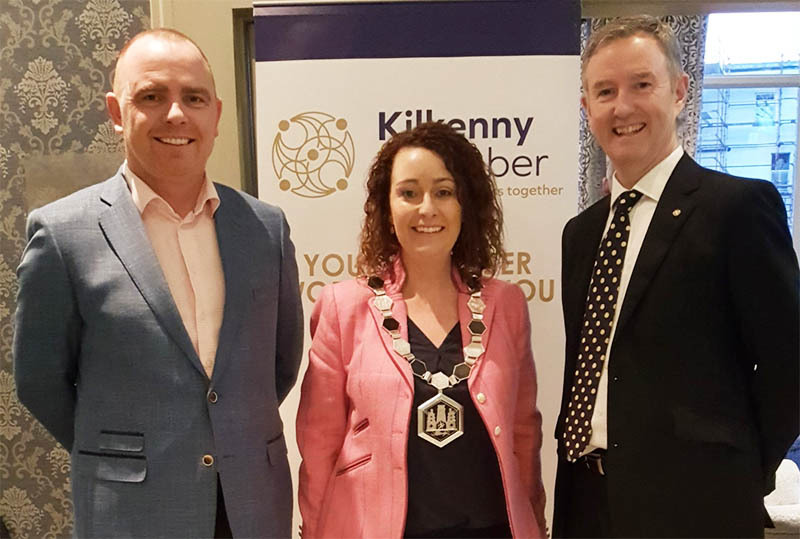 The first 3 months of 2019 have proved to be a very busy period for Kilkenny Chamber. In January, the CEOs and Presidents of the Chamber of the South East of Ireland met for lunch in Butler House and discussed various topics of concern to the region, including the submission to the RSES. John Hurley, CEO of Kilkenny Chamber, is the current Chairman of the South East Region Chambers Group. 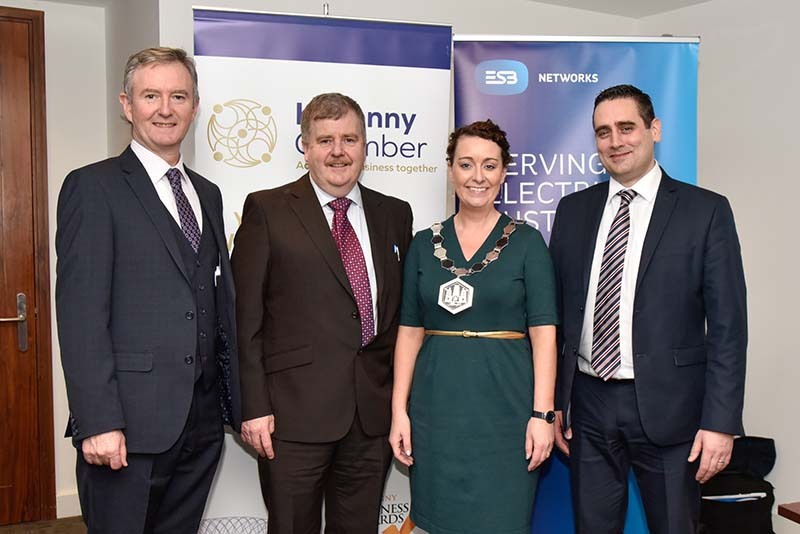 Kilkenny Chamber partnered with ESB Networks for a seminar in the Pembroke Hotel, on the future of power in Ireland, and their plans to ensure that they can meet demand over the next 30 years. 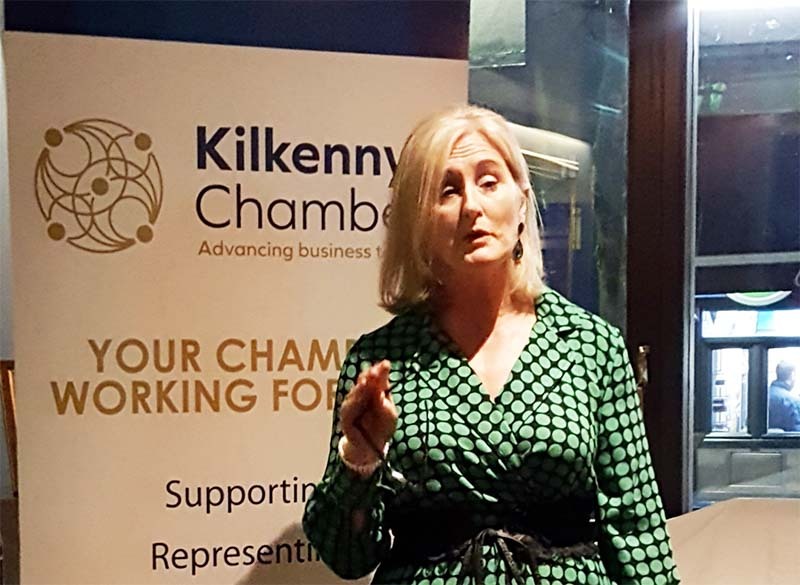 Our Chamber Chat was held in the Hibernian Hotel on 31st January, and our guest speaker was Fiona Deegan, Head of Kilkenny’s Local Enterprise Office. Fiona outlined the services available to businesses in Kilkenny through the LEO. February was the busiest month of the quarter, as the Chamber was involved in 4 very different events. The Kilkenny Age Friendly Business Accreditation programme is a programme of training, delivered by Age Friendly Ireland, allowing customer-facing businesses to be certified as an Age-Friendly Business. In Kilkenny, the programme is facilitated by Kilkenny Chamber, Kilkenny County Council, the Local Enterprise Office, Kilkenny Age Friendly Forum and Kilkenny PPN. 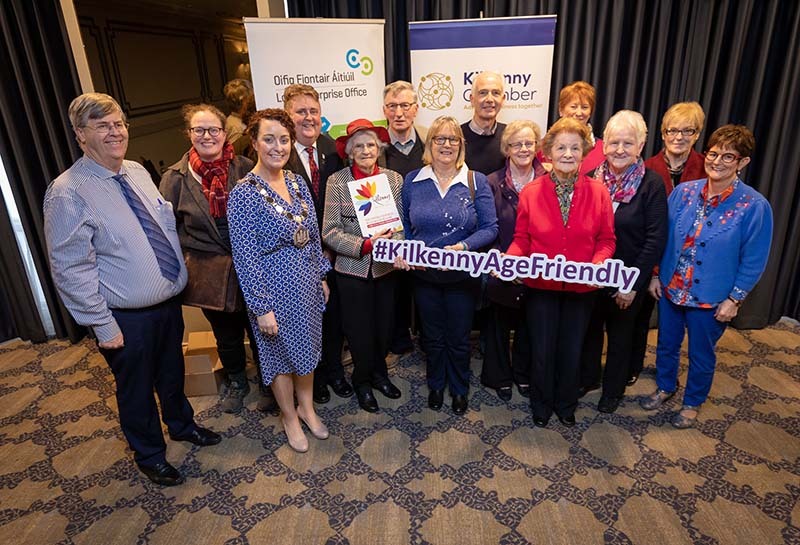 It aims to highlight Kilkenny city and county as a Go To Age Friendly destination, thereby triggering increased visitor numbers, and to encourage businesses to consider the needs of their older customers. The programme uses online and practical interactive training to assist businesses to make low cost, or no cost, adaptations to their places of work in order to celebrate every generation. Training was undertaken by over 80 participants from 60 different companies in the city and county, and the Presentation of Charters took place in the Parade Tower, Kilkenny Castle, on 27th March 2019. For more photographs, click here. 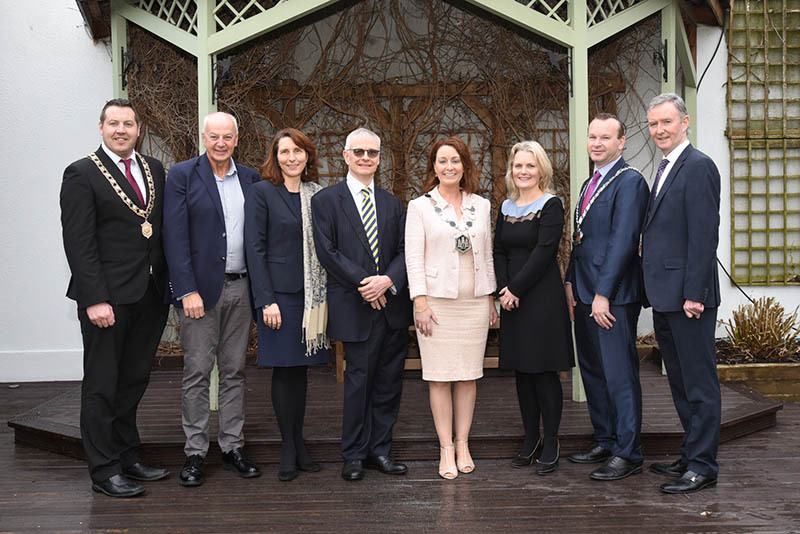 Kilkenny Chamber’s President’s Lunch took place in the Newpark Hotel on 20th February 2019 and celebrated the Chamber’s 70 years. Over 120 members of the business community sat to a superb lunch and were entertained by Bobby Kerr as the guest speaker. Special guests who attended were H.E. the British Ambassador, Mr. Robin Barnett, and H.E. the German Ambassador, Mrs. Deike Potzel, who participated in a panel discussion with Marion Acreman, President of Kilkenny Chamber, and John Hurley, the Chamber’s CEO. 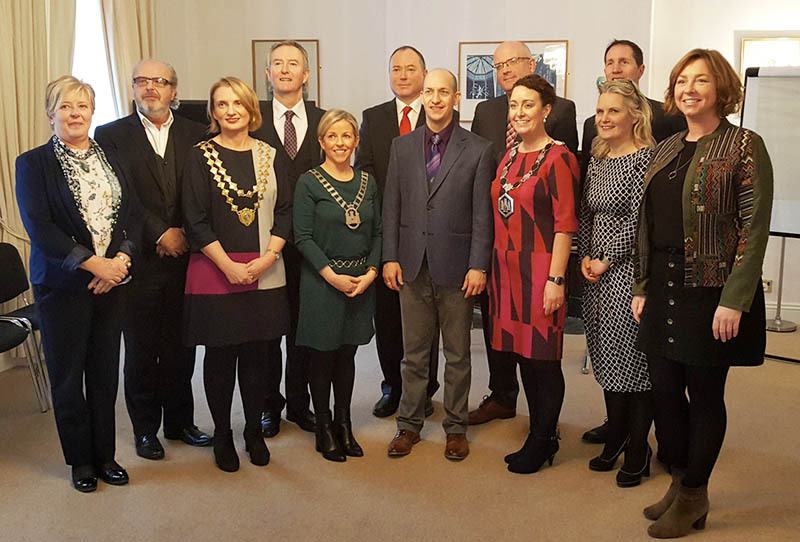 Bobby Kerr’s father, Robert Kerr, had sponsored the design and production of the Chamber’s Chain of Office in the 1960s, and it had been designed and produced by Master Jeweller Rudolf Heltzel, who also attended the lunch as a guest of the Chamber. 14 Past Presidents attended and were presented with a gift from current President Marion Acreman, as a token of appreciation for their service. For more photographs, click here. 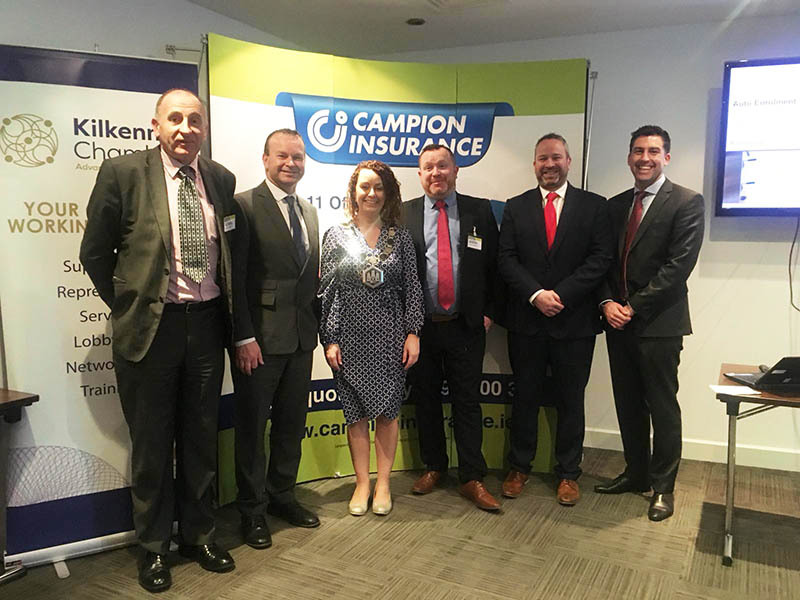 On 26th February, the Chamber hosted, in conjunction with Campion Insurances and Zurich Insurance, a free seminar to members and non-members alike on the subject of Pensions and Investments, in particular, the challenges facing employers when it comes to providing employee retirement benefits. And our Chamber Chat took place on 28th February in the River Court Hotel, with Jason Clerkin, CEO of the Abbey Quarter, providing us with an update on progress on this important city centre site. In March, we hosted a free seminar on the subject of Buying and Selling a Business, with RDA Accountants and Farrell McElwee Solicitors. And our Chamber Chat this month will take place on 28th March in the Watergate Theatre at 6 pm.